ONE STEP AHEAD: (00:17:18) Substrate metabolism during Ironman Triathlon – different horses on the same courses. HOT PROPERTY INTERVIEW: JEN ANNETT (00:35:33) Jen Annett, Canadian pro triathlete, was hit by a car in 2008 whilst bike training for the Ironman World Champs in Hawaii. As a result of that accident she developed epilepsy. 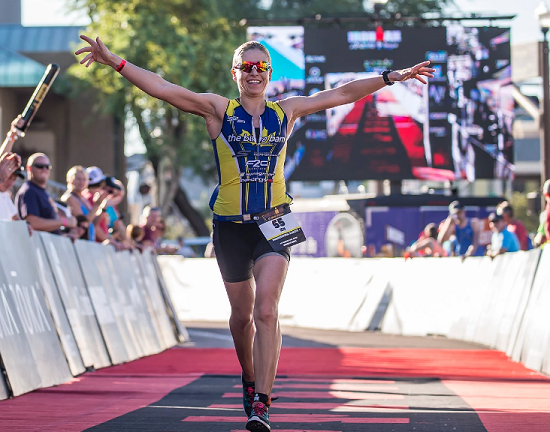 Determined not to let it slow her down she continued to follow her Ironman dream and since then has raced to many podium placings and wins including recently taking the World Record Ironman bike record at Texas. WORKOUT OF THE WEEK: (01:18:48) Bevan and Tim talk all things Open Water Swimming.